UPPSC Junior Engineer Result 2018 Board has today said to release the Combined State Engineering Services result in February 2018. 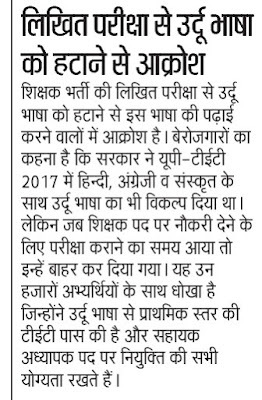 This news was given in official newspaper that candidates can see it below. UPPSC conducted written exam in 2013 and many aspirant who are selected, they need to wafting for UPPSC JE Result. For more details you may check below. 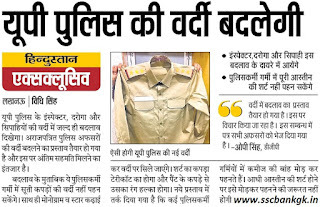 UP Police Uniform 2018 Latest News to Check & Download Dress of New Image Inspector , Daroga, Sipahi. UP Police New Inform 2018 is published under government order of NDA (Bhartiya Janata Party). For More Details Check of Our Article of Constable, Head Constable and Sub Inspector. 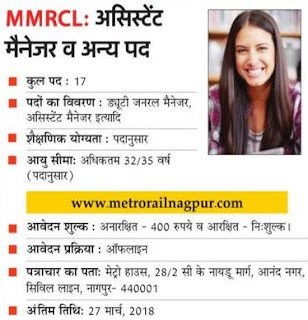 MMRCL Recruitment 2018 Mumbai Metro Rail Corporation Limited eager to appoint 17 Posts of Assistant Manager, Deputy General Manager. The qualified and experienced professionals for the following MMRCL 17 Manager Recruitment 2018 posts will be kept on Regular/ Deputation basis. UP Urdu Teacher Recruitment 2018 Apply Online For Moallim Bharti, In Madarsa School Sahayak Adhyapak, UP Urdu Teacher Upcoming Recruitment 2018.